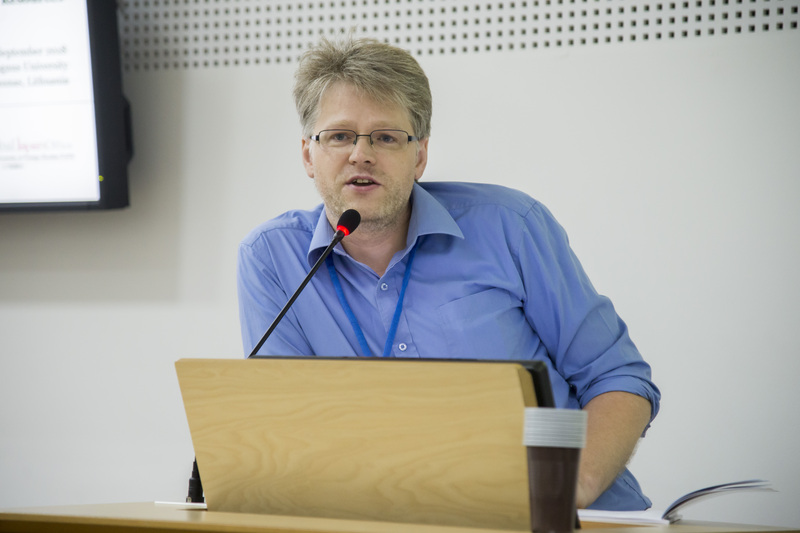 Congratulations to the Head of VMU Centre for Asian Studies Dr. Aurelijus Zykas, who was elected to the Board of the European Association of Japanese Resource Specialists (EAJRS). On the 12-15 of September,2018 the Centre for Asian studies together with TUFS Global Japan Office in Kaunas organized international EAJRS conference at VMU. Japanologists from 20 countries came to Kaunas for the conference. This year the main topic of the conference was “(G)localizing Japanese Studies Resources.” Not only discussions took place during the conference but the election for EAJRS Board happened as well, where Dr. Aurelijus Zykas was successfully nominated for the candidacy. EAJRS is one of the leading organizations in the world uniting experts of Japanology and focusing on the accumulation, development, creation, management and distribution of Japanology resources. Its conferences are annual and have been happening since 1994 mainly in the Western European countries and attract hundreds of specialists from all around the globe. The Conference in Kaunas has been the first one in the Baltic States and third in Eastern Europe.